Curse of the Pharaohs took me by surprise. I didn’t really think twice about putting it off—usually Assassin’s Creed DLC is filler, an indulgence I save for the quieter parts of the year. 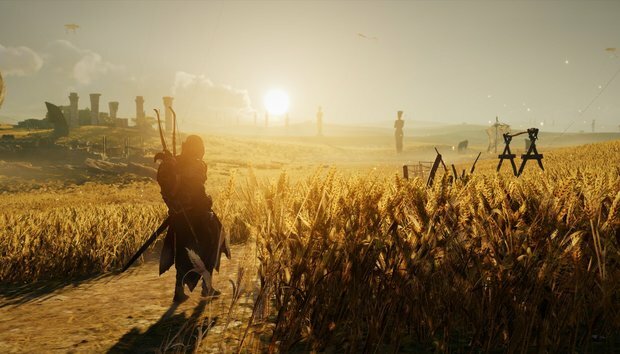 It’s an excuse to jump back in for 5 or 10 hours, and in the case of Assassin’s Creed: Origins I planned to spend some extra time mopping up side content I’d skipped. I played through it recently though and quickly found out Curse of the Pharaohs is legitimately fantastic. Maybe the best Assassin’s Creed in years. The most creative, at the very least. And it’s from Tutankhamun’s tomb that Curse of the Pharaohs gets its name—or rather, the popular appraisal of Tutankhamun’s tomb. Certain Egyptian tombs were inscribed with a curse, something along the lines of “Anyone who disturbs this tomb will die.” Paraphrasing here. The idea of the curse was popularized after a handful of those involved with the unearthing of Tutankhamun’s tomb in the early 1900s died in mysterious ways. Curse of the Pharaohs takes this to the extreme, with Bayek finding Thebes terrorized by the spirits of the pharaohs themselves. 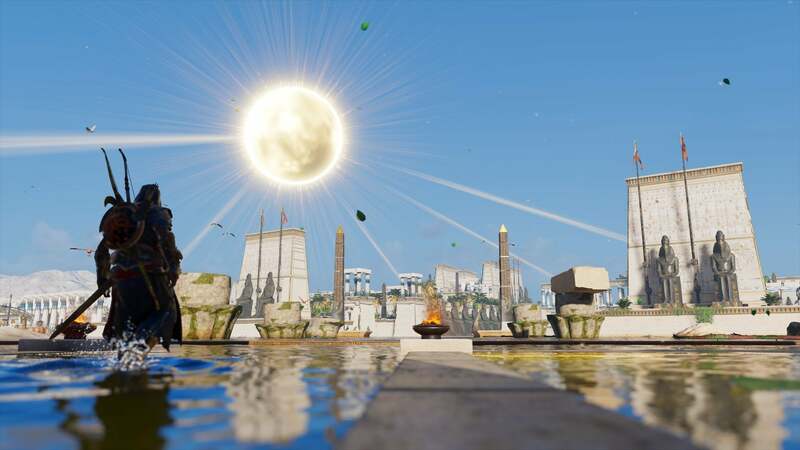 Nefertiti, Rameses II, Akhenaten, and Tutankhamun aren’t resting as peacefully as one might like, and Bayek suspects someone is using a Piece of Eden to resurrect the ancient rulers. It falls to him to reclaim it. Yes, this is Origins’s “wacky” expansion, like The Tyranny of King Washington in Assassin’s Creed III and Syndicate’s Jack the Ripper missions. Another reason I initially passed over it. Curse of the Pharaohs is much more ambitious though. To start, this is an expansion to the vast open-world recreation of Egypt from the base game, and Thebes doesn’t disappoint. From the winding streets of the city itself to the landscape-dominating Temple of Hatshepsut to the dusty Valley of the Kings, it’s a dense and varied region, as packed with impressive vistas as it is small details to admire. 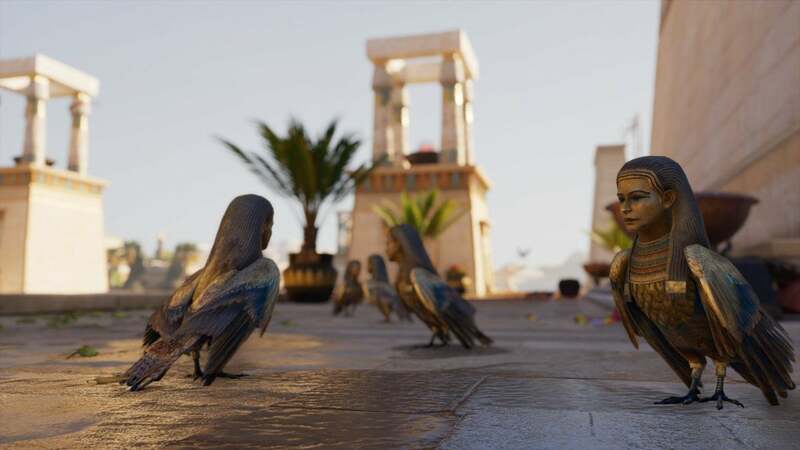 Like Origins proper, the amount of work put into this living-history version of Ptolemaic Egypt continues to amaze me, and as a side note, I really hope Ubisoft expands the superb Discovery Tour mode into the Thebes map. I’d love to explore the Valley of the Kings in a pseudo-academic fashion too. In any case, the real surprise is that Thebes is only half the map. Curse of the Pharaohs’s central gimmick, and what makes it a must-play, is that Bayek adventures into the afterlife. 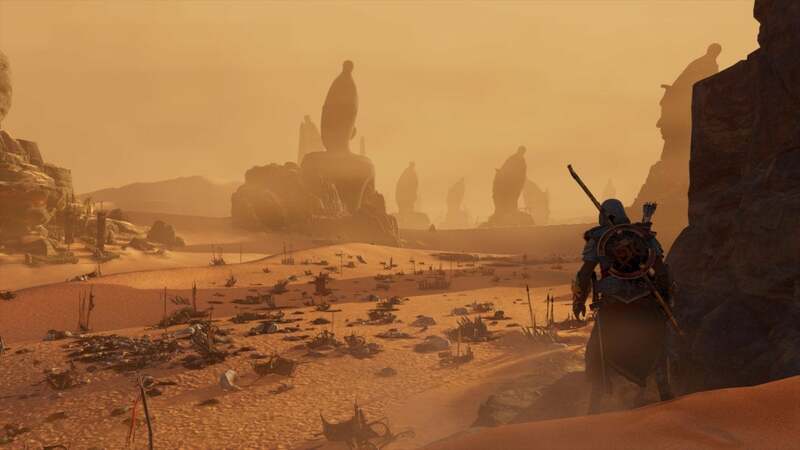 Origins dabbled in these ideas of course, with Bayek chatting with his assassination targets after he’d stabbed them through the heart—a throwback to the original Assassin’s Creed, where Altair’s victims had similar on-death’s-doorstep monologues to deliver. Origins’s were way more stylish, with elements of the Egyptian pantheon interjected into the fray, or symbols of an unwitting villain’s sins rendered larger than life. They were some of the best parts of the game, to be honest. Bayek stayed on his side of the barrier though. He escorted his victims to the Duat, the realm of the dead, but always returned to Egypt after leaving them to Ma'at’s judgment. 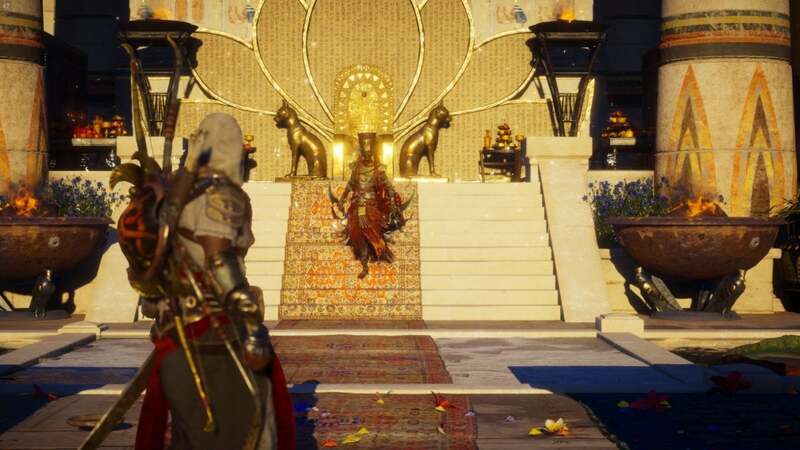 It’s incredible, an outlet for all the knowledge of the Egyptian afterlife that no doubt informed Origins proper but had to play a background role to Bayek’s more serious and down-to-earth revenge story. Here, real-life Thebes takes a back seat to a realm of the imagination. Assassin’s Creed never gets to do that. It’s a series built on historical accuracy, or at least the appearance of historical accuracy, and so it’s refreshing to see Ubisoft’s veritable army of world-builders let loose on something more fantastical. There are 12-foot scorpions to fight, plus jackal-headed guards in the shape of Anubis. Your horse is made of corroded bronze. The birds have human heads, and will shout at you as you run past. And yet for all its fantastical elements, it’s also clear a painstaking amount of work and research went into the Duat too. Larger-than-life it may be, full of weird imagery and symbolism, and yet even here the majority of what you see is inspired by actual tales of the Egyptian gods and rulers, or contemporaneous descriptions of the afterlife. It’s not history maybe, but it’s religion and myth and legend rendered as if they were historical. Over in Akhenaten’s tomb then, the ancient Pharaoh’s heretical belief in Aten—an early pseudo-monotheism—is played up by the presence of a massive floating sun-disk in the sky. Nefertiti’s realm is dotted with references to Nut, the sky goddess, and her role in moving the sun and moon across the sky. Ramesses II, warrior-king, lords over the silent battlefields of Kadesh, forever surrounded by the corpses of friends and foe. It's historical Egypt woven together with religious rites and stories, and all of it treated with the same reverence. It’s hard, striking the correct balance for that type of magical realism, but Curse of the Pharaohs pulls it off. The result is one hell of an expansion. More than once I’ve been reminded of The Elder Scrolls IV: Oblivion’s expansion, The Shivering Isles, which also dealt with its pantheon (albeit an invented one) in a decidedly down-to-earth fashion. Curse of the Pharaohs is a must-play. 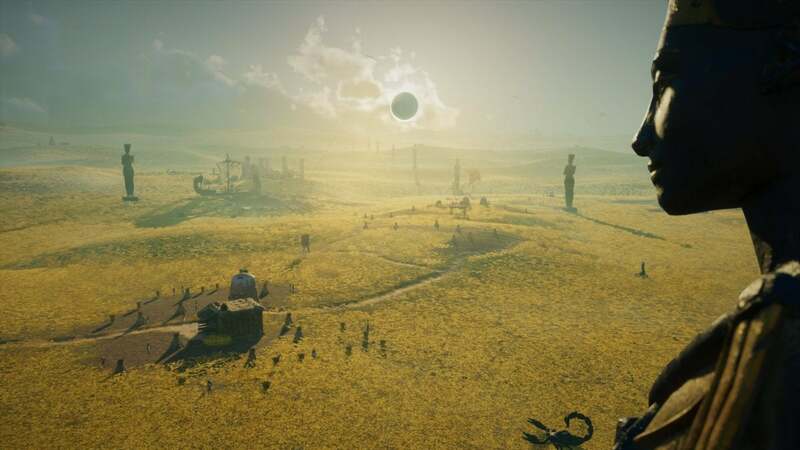 It’s a bold experiment, something that pushes against the edges of the box Assassin’s Creed built around itself over the last dozen iterations. Rarely do you get to see a game play against its supposed strengths in such dramatic fashion, and (better yet) succeed. It’s enough to make me wish for a full game in the same vein. Failing that, I hope it’s seen as a successful experiment within Ubisoft at least. Playing Origins, I complained that a year off hadn’t actually changed the series as much as I’d hoped. 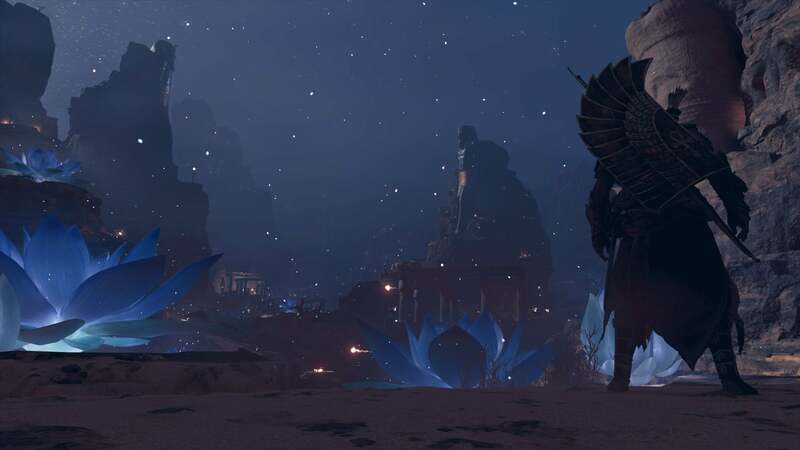 Curse of the Pharaohs is the change I wanted, an Assassin’s Creed that explores a culture on a deeper level than just set-dressing, that breaks away from its stodgy historical trappings just enough to do something really creative and awe-inspiring again.